Two years ago, the U.S. Department of Education announced that 67 colleges and universities in 27 states — including the University of Maine at Augusta — had been selected to take part in the Second Chance Pell Experimental Sites Initiative. The goal of the pilot program was to test whether a greater number of people in prison would participate in high-quality education programs if they had greater access to financial aid to pay for such programs. Initial results suggest the pilot is working. Since Second Chance Pell launched, 954 credentials, including certificates, associate’s degrees and bachelor’s degrees, have been awarded to students in prison thanks to expanded access to postsecondary education financial assistance. Here in Maine, we have awarded 72 degrees to date: 67 to incarcerated individuals at the Maine State Prison, four at the Women’s Reentry Center and one so far at the Maine Correctional Center. The first is economic opportunity: Studies show that 65 percent of all new jobs will require some postsecondary education. However, only 22 percent of people in state prison have at least some postsecondary education. At the same time, 90 percent of people in prison are eventually released, whether they are ready to secure a job or not. By improving access to postsecondary courses and training to people while incarcerated, they are more likely to secure jobs upon their release that lead to other education and economic opportunities that improve the future for them and their family. The second is safer communities: In Maine, the current recidivism rate stands above 60 percent. However, when formerly incarcerated individuals are able to secure jobs, they are less likely to return to crime. 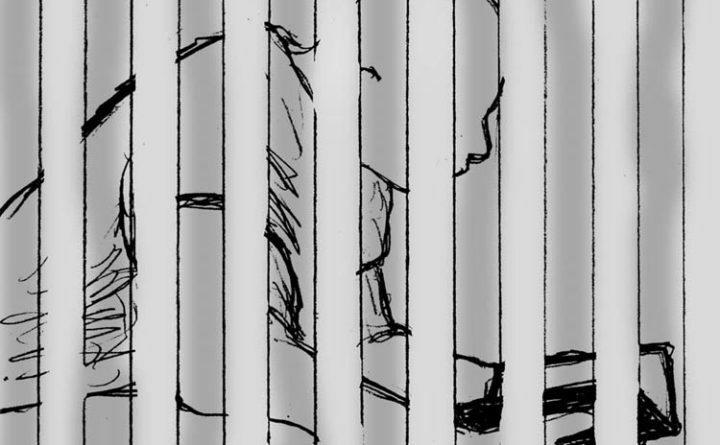 In fact, studies have shown that prisoners who participate in postsecondary education and training programs are 43 percent less likely to return to prison than people who do not. What’s more, prisons with postsecondary programs have fewer violent incidents. This is because the programs provide students the knowledge and skills necessary to become contributing members of their communities while still in prison, ultimately helping corrections professionals do their jobs safely. The third and final reason is that Maine deserves a better return on its investment: Maine is spending approximately $133 million each year to incarcerate people, but continues to see returns that are diminished by barriers to education for people who are in prison. Consider the alternative: According to a RAND Corporation study, every dollar invested in correctional education yields $4 to $5 in savings from a reduction in recidivism. Simply put, expanding access to postsecondary education in prison is common sense. This summer as we mark the two-year anniversary of the Second Chance Pell Experimental Sites Initiative, I am hopeful for the expansion of Second Chance Pell funding so that we may continue offering postsecondary education to people in prison who will learn, improve their self-worth and contribute meaningfully to society. Deborah Meehan is the director of the University of Maine at Augusta, Rockland Center, where she also serves as an academic adviser to current and prospective students and oversees community outreach while promoting partnerships with local business, industry and nonprofit organizations.